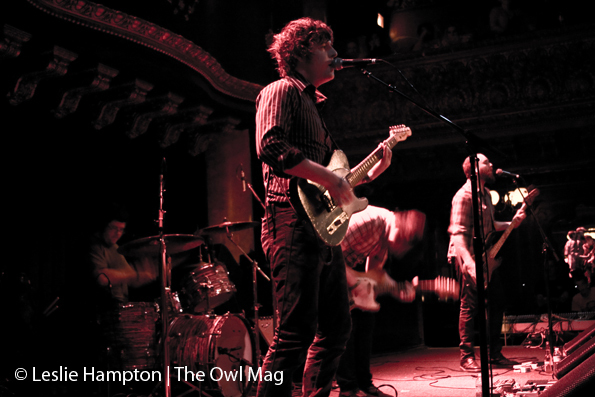 Side With Us Records showcased four stylistically diverse bands at the Great American Music Hall in San Francisco on Friday night. 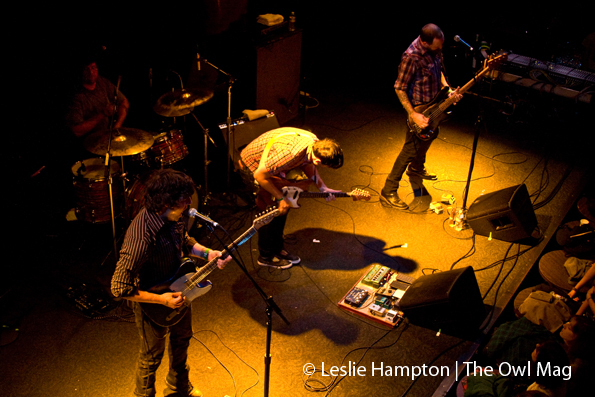 Not To Reason Why (NTRW), a four-piece instrumental post-rock band, led off the night with a captivating three-song set featuring polyinstrumental musicianship and guest appearances. 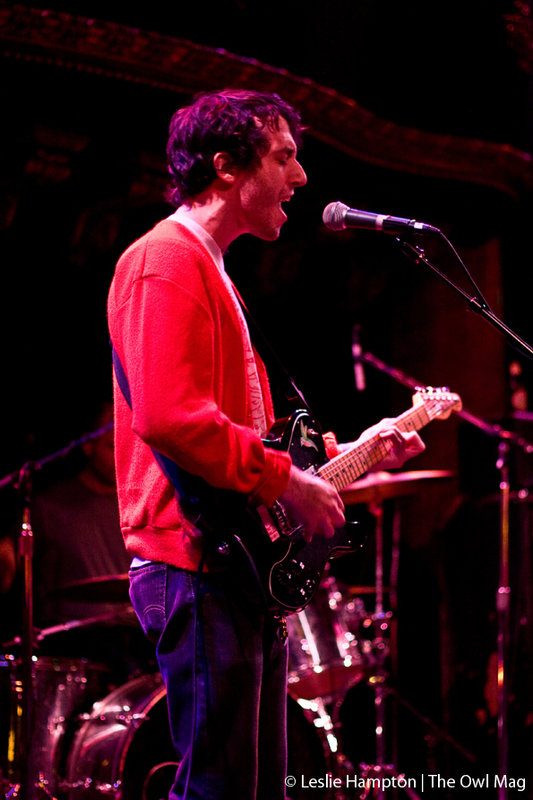 The band’s comprised of Paul and Lauren Haile, a husband-and-wife team who play piano and drums, respectively, Navid Manoochehri on bass and Ian Simpson on lead guitar. In their second song, “Good Afternoon,” which is composed of six alternating soft and loud sections, NTRW expanded the cast as Connor Alfaro and Julia Lancer came out to play floor toms. 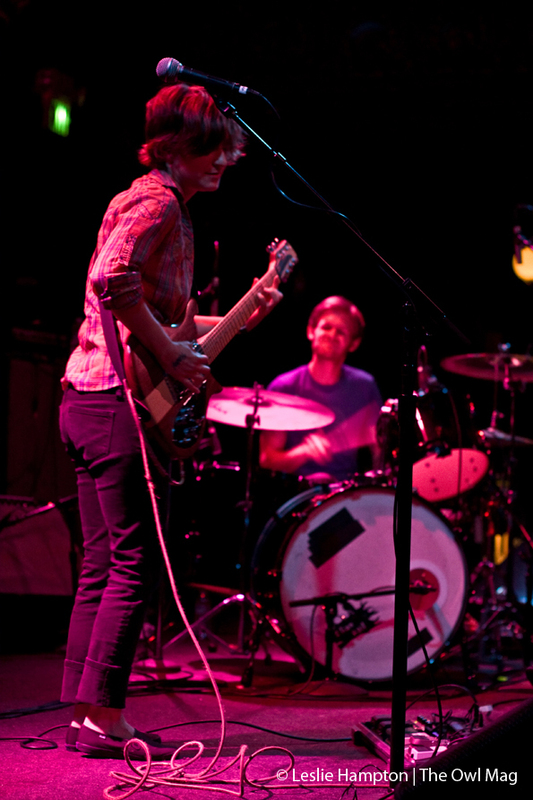 Bassist Navid Manoochehri also switched to a drum. The song concluded with grand synchronicity: the four drummers struck their respective floor toms with both drum sticks, Lauren ended her riff and Ian plucked a final resonating note on his guitar. During another song, with band members and guest players now numbering a dozen, NTRW sang four-part harmonies. Worker Bee was up next; another quartet, with vocalist/guitarist Evan Jewett, drummer Damien Wendel, guitarist Gordon De Los Santos and bassist Andy Barnes. 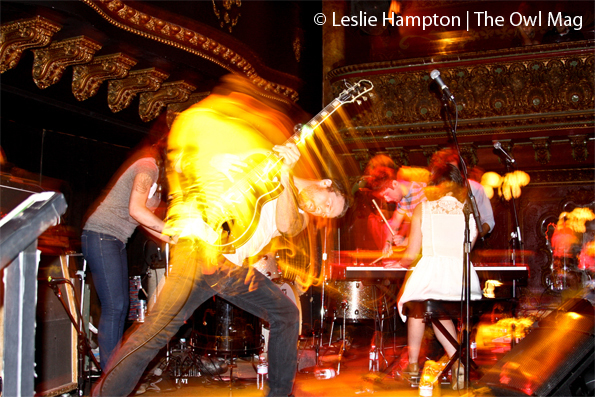 Worker Bee‘s set didn’t stand out because it was followed by another powerful musical presence, the post-rock power duo of Robin Landy (guitar) and Eric Kuhn (drums, foot synth, guitar). They form Silian Rail. Kuhn’s mastery of the drum kit is clear. On multiple occasions I found myself captivated by his posture and precision and could not take my eyes off the fan-shaped arcs created by the motion of his sticks. The deliberateness of each downward stroke reminded me of watching gulls dive-bombing fish from the air. Landy caresses her guitar’s fret board with a swift and calculated lyrical delicacy. The Velvet Teen headlined the night and played very LOUDLY to a cheering and adoring audience. Judah Nagler’s dreamlike falsetto helps make him a charming front man, with a smile that could pull a rug from beneath the feet of 250 eager fans. Josh Staples’ voice compliments Nagler’s like a dusting of powdered sugar on a rich chocolate cake, and Matthew Izen, center stage, doubled over at the waist made love to the crowd with his guitar. Casey Deitz’s concussive percussion was explosive enough to break through his kick drum head. This halted a song while a replacement was found and then The Velvet Teen just picked up where they left off and played the few remaining measures. It all seemed very routine and I got the feeling that Deitz probably breaks his drum heads often. All in all, a memorable evening of music at a venue that is ideal for creating intimacy between bands and audiences in the 200 to 300 range.